Welcome to DeGreen Capital Management! 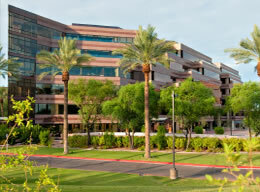 FIDUCIARY FEE-ONLY DeGreen Capital Management (DCM) in Scottsdale has pioneered the use of diversified, low-cost, index-tracking, exchange-traded fund (ETF) portfolios to efficiently access all the world’s most promising markets – in the U.S., in other developed countries, and in emerging economies. At FIDUCIARY FEE-ONLY DeGreen Capital Management we seek to add value at all times – value far in excess of our fees. Because our 15 risk-adjusted ETF portfolios are so cost efficient, many DCM clients find that they spend less with us, even after paying our management fee, than they did by investing in actively-managed mutual funds without professional management. Our client communications program is unsurpassed. AT FIDUCIARY FEE-ONLY DeGreen Capital Management, in cooperation with our colleagues at Efficient Market Advisors (EMA), we maintain 15 highly-diversified, low-cost, risk-adjusted exchange-traded fund (ETF) portfolios. Our diversified portfolios invest worldwide across the four major investment asset classes – equities, fixed income, alternatives and cash. Our portfolios all have long-term performance and volatility track records. YOUR PORTFOLIO is based solely on YOUR needs. At your Investment Suitability Interview we will work with you to select the risk-adjusted portfolios that are in your best interests — based on your individual objectives and risk tolerance. Also, as your circumstances change over time we will modify your portfolio to meet your evolving needs. The keys are to minimize the volatility required to accomplish your specific objectives, to watch your back if markets get dicey, and to communicate clearly as fellow investors. As your FIDUCIARY FEE-ONLY advisor, we have no hidden agenda at DCM. Our sole mission is to add value at all times – during good or challenging times. I am personally available to work with clients who have portfolios of at least $500,000. My son, Sam DeGreen, is a highly competent advisor in his own right. He is available to help clients with portfolios of at least $250,000. With the able assistance of our outstanding team, Sam and I both work in accordance with the highest fiduciary standards while applying rigorous review procedures. Hundreds of affluent investors trust us to help them achieve their goals. It would be my privilege to also invest with you. Investment Suitability Interview process, or on request.